Have an avid reader in your life? 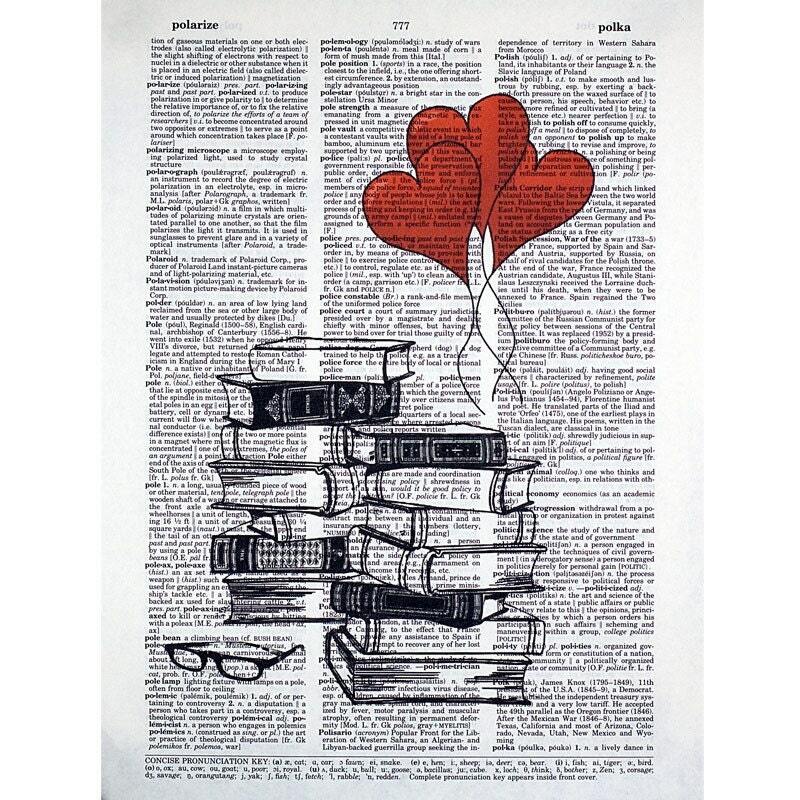 This print is perfect for a reader, teacher or anyone fond of the written word. My prints are created using vintage dictionaries and encyclopedias from the late 1800's to the mid 1900's. Dictionary pages vary by book size. Choose from 8 x 10 7/8 or 8.5 x 12.5 pages, either of which can be framed using an 11 x 14 mat or an 8 x10 frame. Frames are not included. I show them framed, as a courtesy, so that you can get a better idea of how they might look framed and hung. The GlassLion watermark will not appear on your print. Anything can be customized! If you have specific questions or requests regarding the page type or to request a different size or image, just drop me a line. PayPal, Visa, MasterCard, Discover, AmEx gladly accepted. If you are not completely satisfied with your purchase, please return the item for an exchange or refund. Sorry, we cannot accept returns on personalized or otherwise custom made items. You will always see a proof of your custom request for approval prior to my printing the piece. Contact us by email at glasslionstudio@gmail.com or convo us. We will respond promptly. Prints are shipped via USPS - First Class. Please see Shop Banner on the GlassLion home page (http://www.etsy.com/shop/glasslionstudio) for any special announcements regarding seasonal shipping. Frames are shown for design inspiration only. They are not included with your print. All wholesale and custom orders are welcome.